On the 8th (Wed), visit a coastal fixture at Puerto Ferro Lighthouse. To see more things to do, where to stay, other places to visit, and more tourist information, read Isla de Vieques trip itinerary planning tool . Boston, USA to Isla de Vieques is an approximately 7.5-hour combination of bus, flight, and taxi. You can also do a combination of bus, flight, shuttle, and ferry. The time zone difference moving from Eastern Standard Time (EST) to Atlantic Standard Time (AST) is 1 hour. Traveling from Boston in August, expect Isla de Vieques to be a bit warmer, temps between 88°F and 79°F. Wrap up your sightseeing on the 9th (Thu) to allow time to travel to San Juan. Change things up with a short trip to El Yunque Rain Forest in El Yunque National Forest (about 1h 10 min away). And it doesn't end there: wander the streets of Old San Juan, appreciate the extensive heritage of San Juan National Historic Site, get interesting insight from Tours, and brush up on your knowledge of spirits at Casa Bacardi Visitor Center. For reviews, more things to do, and tourist information, read our San Juan trip planner . San Juan is very close to Isla de Vieques. In August, daytime highs in San Juan are 89°F, while nighttime lows are 78°F. Finish your sightseeing early on the 12th (Sun) so you can fly to Culebra. 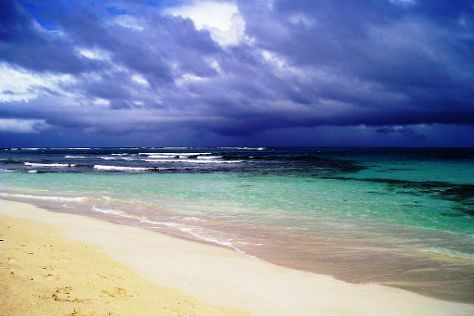 On the 13th (Mon), stroll through Playa Punta Soldado Beach and then enjoy the sand and surf at Flamenco Beach. Here are some ideas for day two: visit a coastal fixture at Culebrita Lighthouse, then step off the mainland to explore Culebrita Island, and then kick back and relax at Zoni Beach. For photos, maps, and more tourist information, refer to the Culebra road trip planning app . Culebra is just a stone's throw from San Juan. In August, plan for daily highs up to 89°F, and evening lows to 80°F. Finish your sightseeing early on the 14th (Tue) to allow enough time to travel to Ponce. Ponce is both a city and a municipality in the southern part of Puerto Rico. On the 15th (Wed), explore the world behind art at Museo de Arte de Ponce. To find ratings, reviews, where to stay, and other tourist information, use the Ponce day trip tool . You can do a combination of flight and car from Culebra to Ponce in 2 hours. Other options are to do a combination of flight and taxi; or do a combination of ferry and taxi. In August, daytime highs in Ponce are 85°F, while nighttime lows are 76°F. Wrap up your sightseeing by early afternoon on the 15th (Wed) to allow time for travel back home.